A super fast and super tasty start of your day! 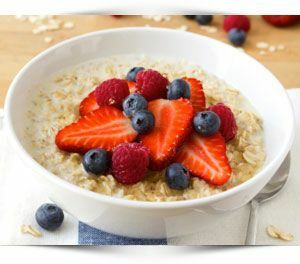 To get the most out of your oatmeal its best to prepare it the evening before. Just mix the oats with water and leave them in the fridge. In the morning simply add the fruits and your done!